Sept. 18, 2012, 8:20 p.m.
Or at least it's easy to start off. A few months ago, I was just like you. I lived a normal life. I watched events when I could. I had (read have) ladder anxiety. And I watched Day. I've been a long time fan (since 2010 - I got Starcraft II when it came out), and like most of you, I thought that, despite the close and intimate feel that the daily gave to it's viewers, Day seemed so far away from anything I could do. But, one summer, I decided that I'd like to volunteer some of my time. 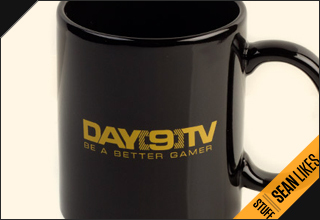 So I emailed volunteers@day9.tv, never expecting anything to come of it. A few weeks later, much to my surprise, an email made its way into my inbox. They wanted some help. And so, over the next several weeks, myself and a team of dedicated nerd bad-asses helped to create the website that you're viewing this on. In fact, in the daily where this was first introduced (http://day9.tv/d/Day9/day9-daily-479-funday-monday-closest-games-ever/ - look in part 2), when he showed off a sample daily (http://day9.tv/d/Day9/day9-daily-475-warp-prism-pvt-style/), I can proudly say that I made that page. This first push off the tipping point is what started me off. I got myself into a community of people who are very involved in eSports. I made new friends. I played monobattles with Day (where his vikings brutally crushed my broodlords T.T). I even got to test out the Fire and Storm maps from Trials of the Xel'Naga. I got to have all of these important opportunities - all because of one email. But that's not the coolest part of all. With some of the people that I've met in that community, we've formed a new organization dedicated to the average gamer. We call it Life Gaming. We already have plans to put on a tournament, set up a website, and succeed. And here's the real kicker - I'm only 18. That's right. I'm a freshman in college. And I'm going to help start something. And I'm going to do everything to make it big. Will it work? I believe it will. I also believe that it'll be frustrating, a lot of long nights, and a lot more hard work. But that's the point of any job you want to succeed in. You work hard, you do more than you think you can, and you will get results. For example, there's not some mystical force that drives Day forward. I think the manager for Day (a.k.a. his Mom <3 ) put it best: "... there is nothing magical about Day or what he does. He has had success because he works around the clock and tries to put out large quantities of good content and tries to learn and improve. If you try to do the same, you will also have success. It is as simple as that." very well written my lord day please continue to blog. more of this, i love it.